Bioenergy has a role to play in the decarbonisation of the EU energy system. But some types of bioenergy can actually increase emissions substantially. Biofuels from purpose-grown crops, for example, are unlikely to be lower carbon than fossil fuels. What’s more, scientists agree that burning tree trunks/stumps will increase emissions for decades compared to fossil fuels – one reason for this is how long it takes for forests to grow back. Currently, EU law means all forms of bioenergy are incentivised. This has brought about a vast expansion in bioenergy, leading to increased emissions, deforestation and food price rises. The EU recently agreed new bioenergy rules as part of its revised Renewables Energy Directive. 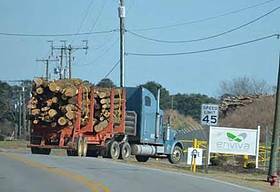 Unfortunately these will allow ever more trees and crops to be burnt for energy, increasing greenhouse gas emissions even more than fossil fuels would do. We need much stricter rules to ensure that bioenergy used in the EU delivers genuine climate benefits and that companies instead invest in low carbon renewables such as wind and solar. Phase out subsidies and incentives for purpose-grown biofuel crops such as cereals or oilseeds, which are unlikely to be a good use of land from a climate perspective compared to growing food or letting land return to forest. For pragmatic reasons WWF accepts that this could be done gradually, for example in line with the Commission’s proposal of an initial reduction in the cap on food-based biofuels from 7.0% to 3.8%. 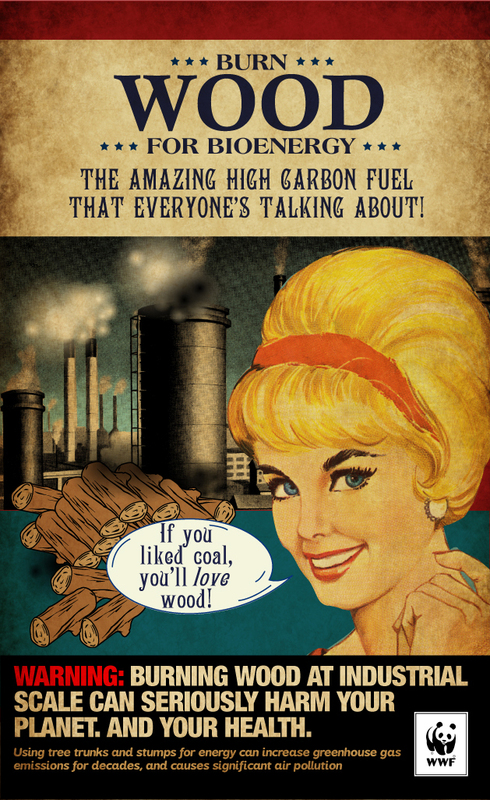 Phase out subsidies and incentives for the use of stemwood and stumps, the use of which for energy will generally increase emissions compared to fossil fuels for decades. Fast decaying harvest residues such as tops and branches should remain eligible for incentives, but only if used in installations employing high efficiency cogeneration (i.e. combined heat and power). Ensure that fast decaying wastes and residues only benefit from subsidies or incentives if they have no significant alternative uses, whether for food, animal feed or bio-based materials (the ‘cascading use’ principle). The EU should also set strict efficiency requirements – and apply these and the other sustainability criteria to all biomass plant over 1MW in size. ‘Bioenergy’ refers to biofuels, biogas and solid biomass. Biofuels are liquid fuels such as bioethanol or biodiesel, which are currently mostly made from food crops such as palm oil, oilseeds or cereals. Biogas is gas (mostly methane) produced from the anaerobic digestion of various material, including municipal and agricultural wastes and other plant material or crops. Solid biomass is typically wood, in the form of logs, wood chips or pellets.